The people ‘Fighting for $15’ minimum wage don’t seem to get that this is a reality. Indeed machines could oust workers in fast food restaurants because they’ll be cheaper and more efficient than actual people. As cities and states actually contemplate passing a mandated $15/hour wage for fast food workers, they never seem to think about the downfalls of doing this. 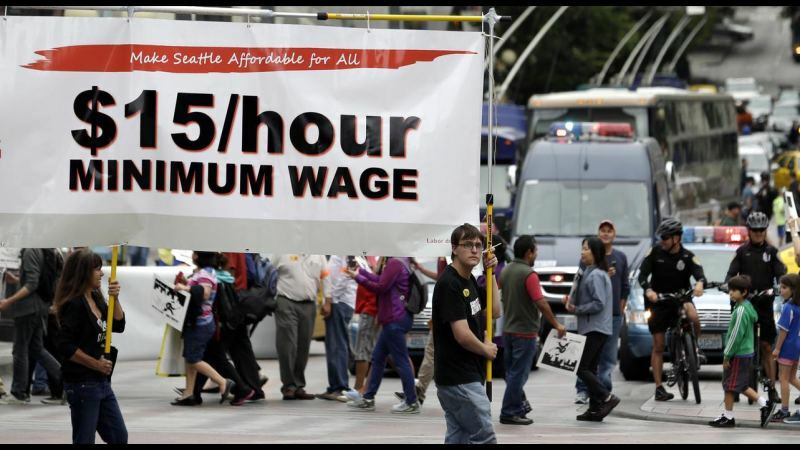 In Seattle some businesses have opted to close because they simply cannot afford the increase. In San Francisco, even those small business owners who supported the increase in minimum wage have realized what a huge mistake it was. The payout for automated kiosks and cashiers is heavy up front but will be cheaper in the long run and far more efficient than the unskilled labor that is currently performing these tasks. Higher skilled labor will replace these workers to fix and change the machines but those people would already be earning more than $15/hour. Olive Garden said earlier this year that it would roll out the Ziosk system at all its restaurants, which means that all a server has to do is bring out the food. What the ‘Fight for $15’ crowd is really doing is creating a slew of workers who will be displaced because they lack the necessary skills to actually be ‘worth’ $15/hour. Not only will this wreak havoc on entry-level jobs for unskilled workers but it will hurt the workers currently in these jobs as companies cut hours and look to replace human workers with robots or technology that is cheaper and more efficient. People are willing to pay for good service at higher-end restaurants but they certainly don’t expect to pay outrageous prices for a hamburger or fries at a fast food joint. These businesses must cut costs somehow and thanks to a ridiculous mandated increase in the minimum wage, the workers will be the ones to suffer.